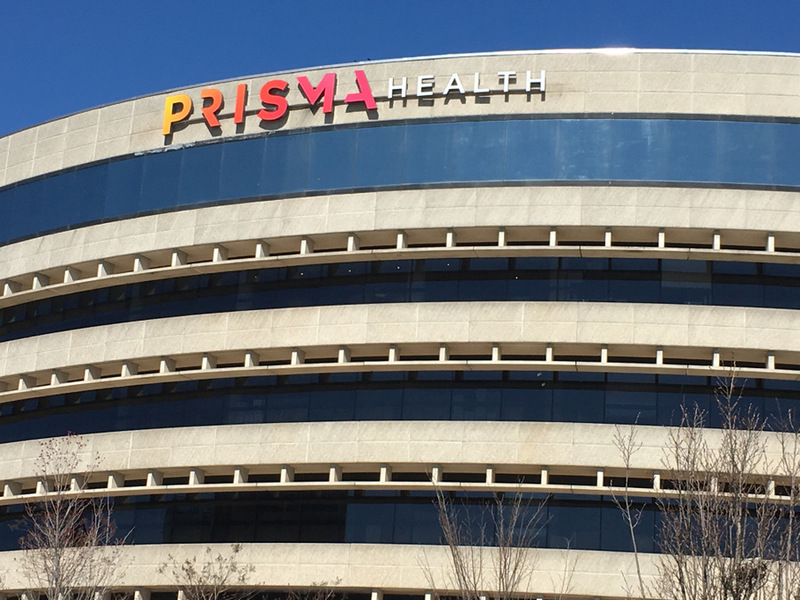 The rebranding of the GHS system office on East McBee Avenue to Prisma Health. 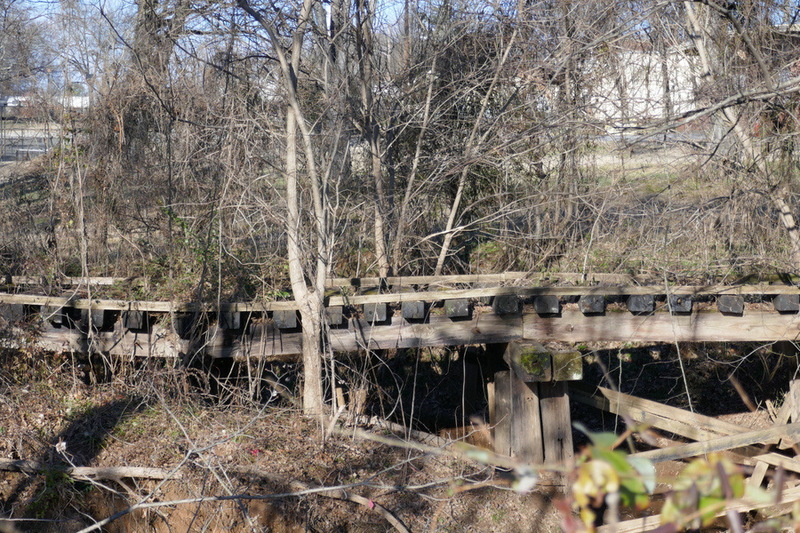 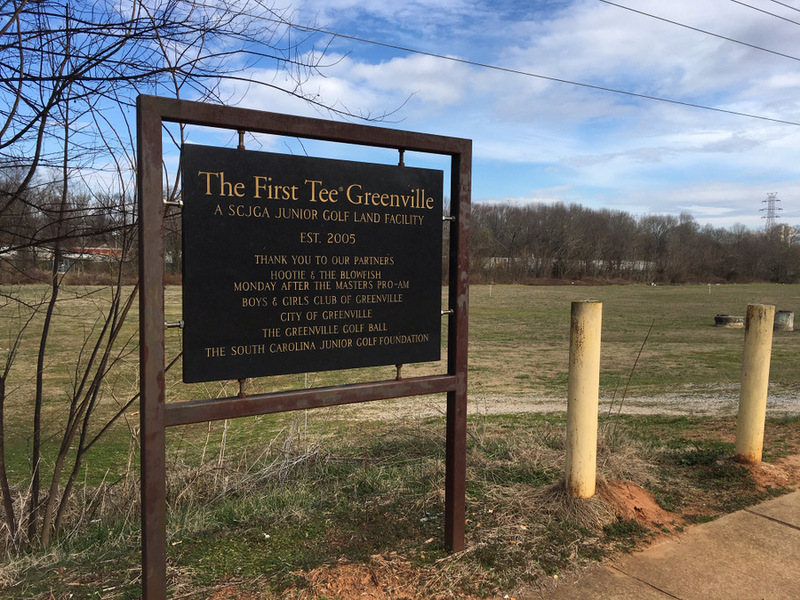 One of the old “downtown lead” track segments next to the Reedy River that served the Greenville area many years ago, likely as freight service. 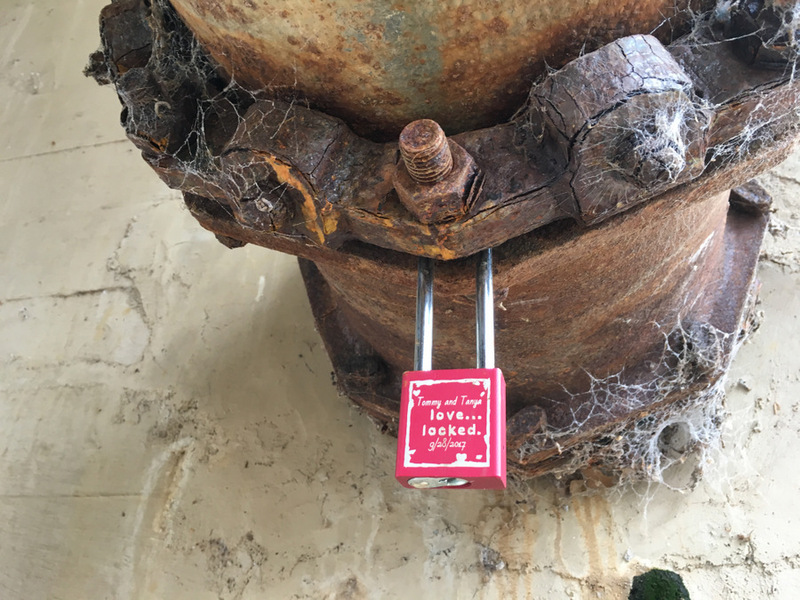 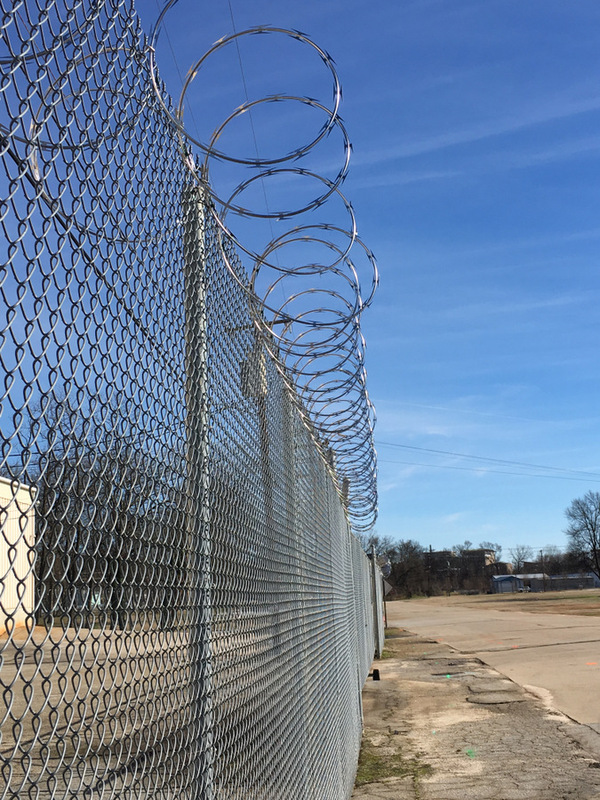 Diners returned outside for a few days as a freak February hot spell brought temperatures near 80 degrees F.
Love Locked under the McDaniel bridge … and the cobwebs. 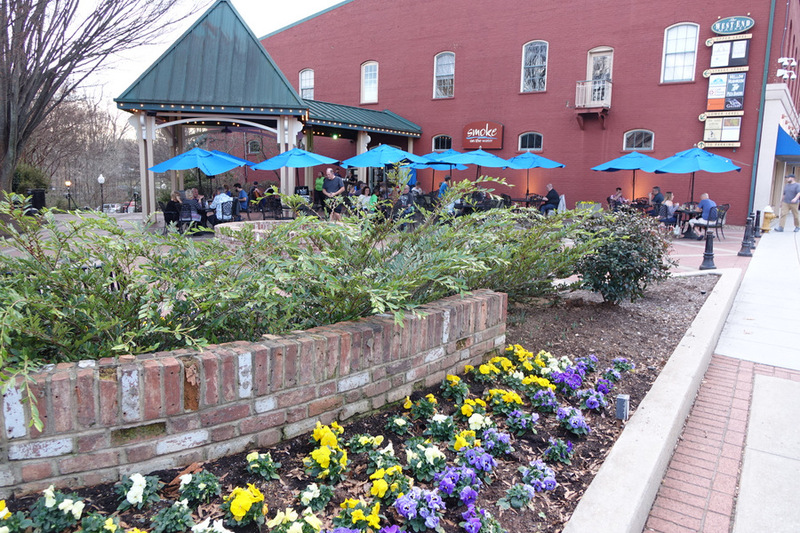 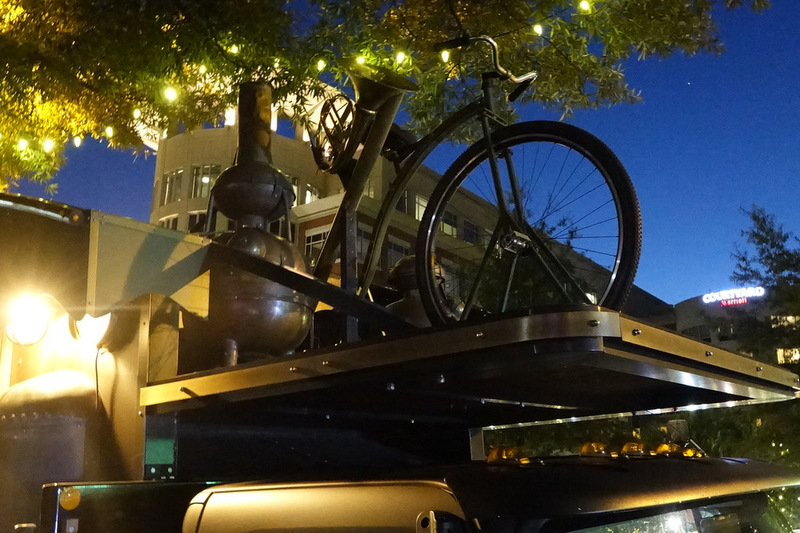 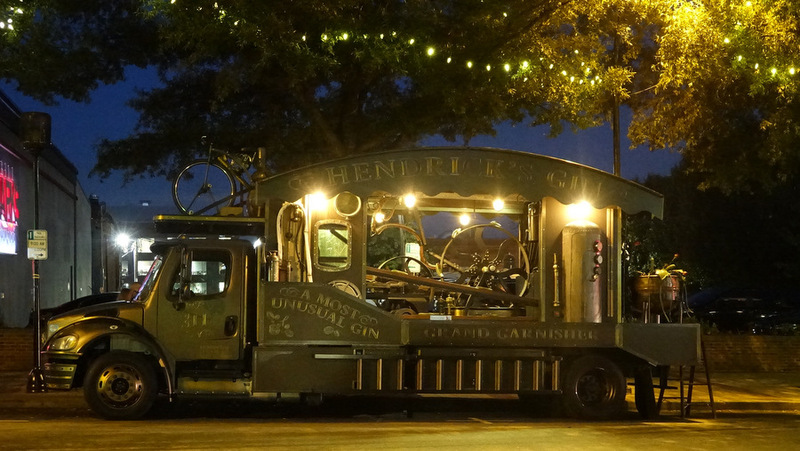 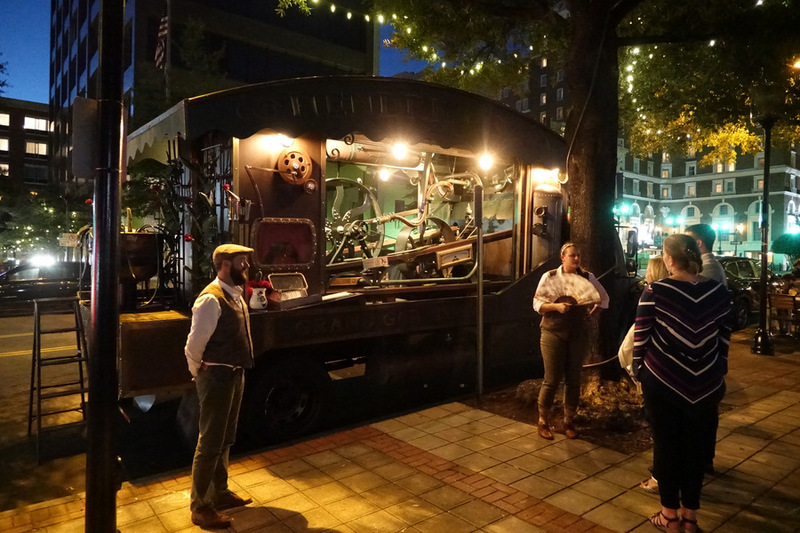 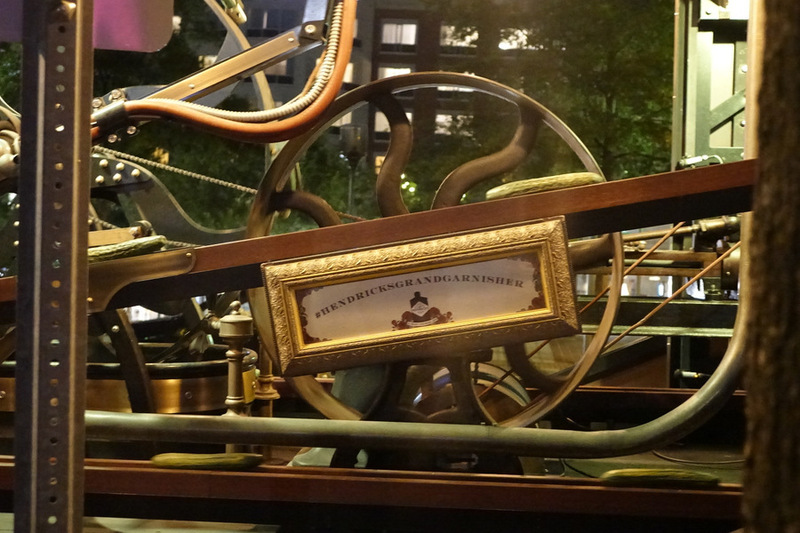 Hendrick’s Grand Garnisher briefly stopped in Greenville in front of Grill Marks while travelling from Atlanta to Charleston on its trip around the United States. 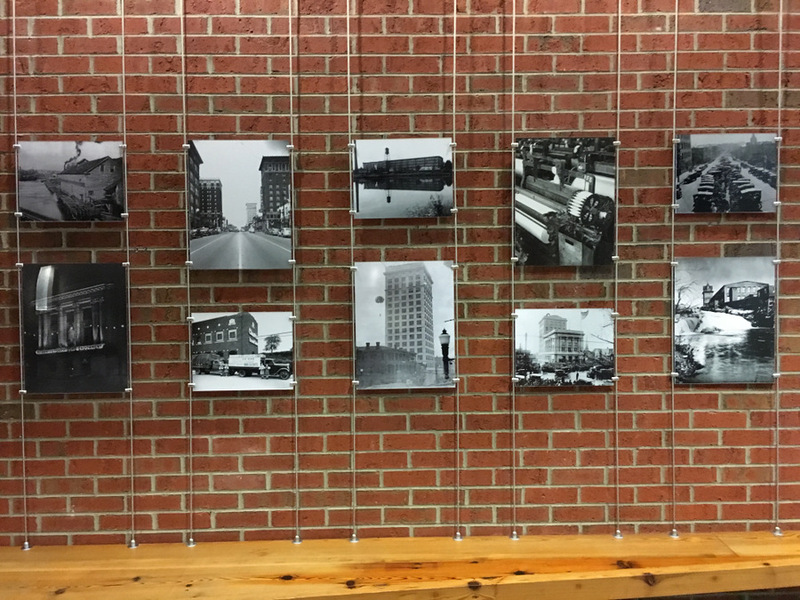 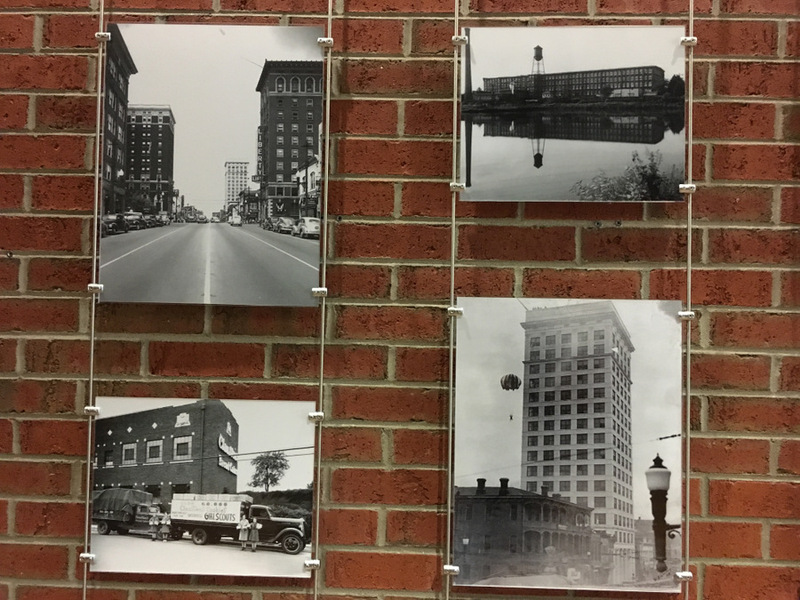 More photos of Greenville from the past, including a treeless Main Street.